Alaska's state tree is the sitka spruce. Sitka spruces are tall evergreen trees. Evergreen trees have leaves all year round. The leaves of the sitka spruce are sharp needles. 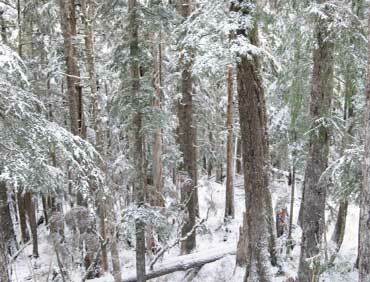 Sitka spruces live a long life. Some of them have lived for over 700 years. 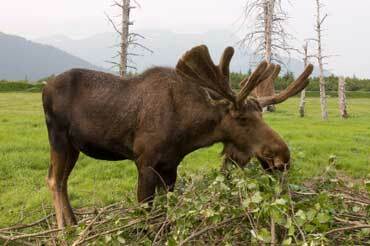 Alaska's state animal is the moose. Moose comes from the Indian word moz. It means "twig eater". A male moose has large antlers growing out of its head. Antlers take three to five months to grow. 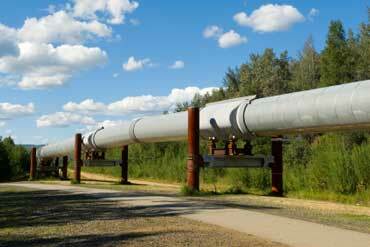 The Alaskian Pipeline carries oil. It is 803 miles long (1,287.961 km) and it runs in a north-south direction. It runs from Prudhoe Bay to Valdez. The pipeline was built between 1974 and 1977. It cost over 8 billion dollars to build. Thirty-two workers died while building the pipeline. Copyrights to the pictures and photos on this state lesson belong to individual photographers. We have purchased the rights to use them. Do not copy the images on this ESL website. Contact Christina Niven, ESL teacher, at christina@elcivics.com. Please send corrections, comments, and requests for new state lessons or worksheets. Copyright © Christina Niven, 2007.